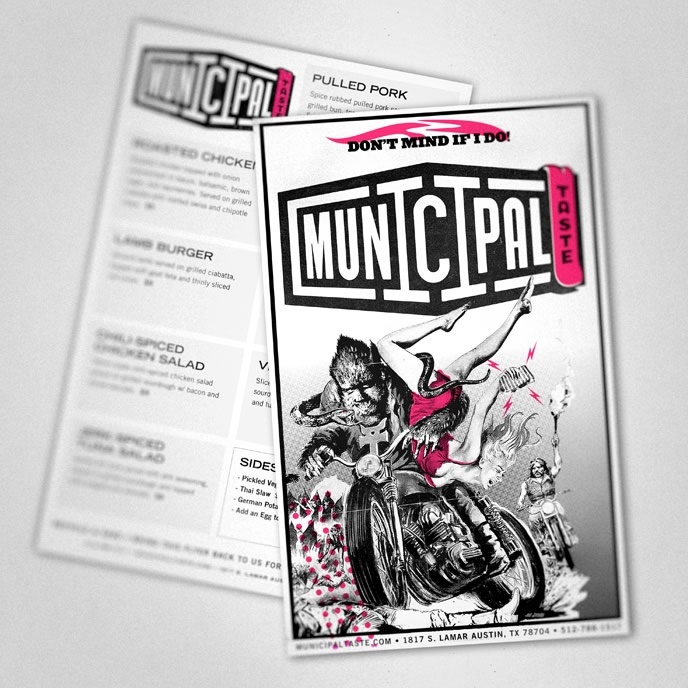 Simple promotional handbill/menu for our new favorite street food vendor in Austin, Municipal Taste. Next time you’re on South Lamar – stop, say “hi” to Keegan and Phil, and order a “Velvet Elvis” – you’ll thank us later! Logo for Municipal Taste – a new Food trailer in Austin, TX.